Travel allows for the best education the world can provide. Or so say those who can afford it. Fortunately, a cheaper alternative is always available. And it’s not necessarily made in China. It’s called reading, an activity, usually solitary, that may not be as exciting as visiting foreign shores, flying business class, or flirting with flight attendants. Once undertaken, especially with a good writer as a guide, reading allows anyone to take a trip anywhere — including the planet Tralfamadore* — without having to clear immigration and undergo intensive cavity searches. While travel transmits knowledge firsthand — how to get the best seats in economy class**, how to request alcoholic beverages in an Islamic country***, and how to avoid looking like a promdi in Manhattan**** — reading does the same but through filters, the writer’s inclinations and idiosyncrasies. Whichever of these two activities is considered the best teacher in this school we call life remains arguable. For those indifferent to the pleasures brought forth by the well-crafted sentence, the quick, cutting remark, or the penetrating insight, reading may never be able to hold a candle to any other activity, including the lure of travel. But that’s just one school of thought. Others prefer to read and stay at home. Given a choice between reading a well-written essay by American gonzo journalist P. J. O’Rourke and a trip to any one of the world’s hellholes (i.e., Pasay), certain individuals, including myself, may prefer the former. Nobody, save perhaps for certain irate Pasay residents and the mayor himself. After all, they can always cite the city’s historical and cultural landmarks which help make this country and the world at large a better place. Although Pasay may offer attractions even to overstimulated, cynical urbanites, the experience of touring the city may be matched by the vicarious thrill of reading any good book. 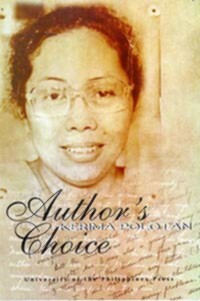 These include Author’s Choice by Kerima Polotan (who by the way gives a picture of the Pasay of yore), Occasional Prose by Adrian Cristobal (which remains sadly out of print), and yes, any of the books written by P. J. O’Rourke (All the Trouble in the World and Holidays in Hell are my personal favorites). For the past year or two, I have been so consumed by reading a number of books that they have convinced me to temporarily ignore all other activities regarding my life, such as it is. The Granta Book of Reportage had exactly this effect on me. From the moment I read Ian Jack’s introduction until Wendell Steavenson’s Osama’s War some 400 pages later, I was held in thrall, recognizing I was being transported to places that, like Pasay, isn’t exactly on my list of places to visit. Despite the desperation, the violence, the iniquities that occur in these places, writers in the Granta anthology — which include James Fenton who wrote about Edsa I in a separate Granta issue — show further proof that reading occasionally does trump travel, didactically speaking. *The fictional planet in the earlier works of Kurt Vonnegut. It featured prominently in what I consider as his best work, The Sirens of Titan, one of the very few books I’ve read three times. **Always ask to be seated in the bulkhead seat, which offers larger legroom. Besides being a heaven-sent convenience during long haul flights, the attendant will recognize you as a seasoned traveler even if it’s your first trip abroad. ***Show your passport upon checking into a hotel and order before nine in the evening (or at least that’s what I did when I took an all expenses paid trip to Pakistan, courtesy of the Pakistan government). ****You can never go wrong wearing black in Manhattan, especially during the cold months. Wear some other color and you stand out like an idiot. What can I say? Been there, done that.